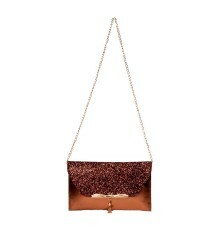 Looking for something to complete your party look? 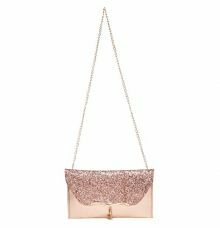 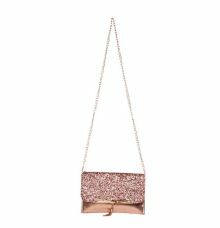 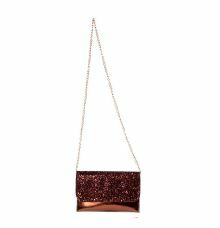 Grab this bronze coloured sling bag from Envie and look like a million bucks by teaming it with a sleeveless party dress and heels. 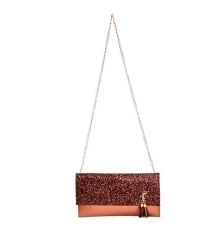 Crafted using faux leather this promises durability. 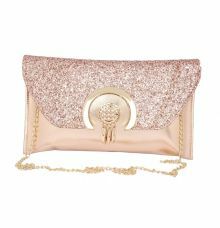 The sequined pattern adds to its beautiful look whereas the magnetic snap and fold over style make it more functional.